Any recent Java OCA certification vouchers or offers? Apologies if this is a duplicate thread but I could not find any recent ones like this on the website. I have invested to a very reasonable degree in this Java certification, was very eager to book my test. I live in the UK and the prices for these certifications are shocking. Long story short I was told by my friends that the test should be around £100. Not £190 + TAX. Does anyone know if I could buy a voucher/coupon for this exam from a different vendor other than oracle. Is there any black Friday deals or coupons available out there? Just for reference I thought to include a screen shot of the current prices as of today. Thank you. I think you can't since price is fixed by Oracle university. You can do 1 thing that you can contact to the test center persons(the center where you want to give test) for the vouchers. You are showing exam prep seminars in your first post. You do not need to take any exam prep seminars. However you do need to know the material. I suggest that focus on Java 8 that is unless you have a particular reason to learn Java 6 or Java 7. I mention this because your first post shows Java 6, Java 7 and Java 8. Many people purchase a book or two as a study guide and once they think that they can do okay they schedule/take the exam. You can see how others have prepared and what materials they used here https://coderanch.com/wiki/659980/Ocajp-Wall-Fame. This could save you time, money and frustration. There are also some free resources which you could find/use like the official Oracle Java Trail for instance. The Java API and language/documentation could also be used, but I would not recommend that as a study resource as the information can be difficult to follow. With regards to exam pricing, the prices are set by Oracle so you are left to pay what they want to you pay. However, the price for beta exams is less then the regular exam. Beta exams are usually available for a short period of time only when the product version changes. You can only take the beta exam once per a product and these exams usually cover much more then the regular exam. With Java 9 being a recent release you can probably expect the beta exam to be out some time in 2018. However there isn't too much in the way of learning materials/study guides for Java 9 published yet. Aside from that Oracle has said that they are changing the release schedule for Java starting with Java 9 and many people do not know what that means for Java 9 exam/certification. A quick update. You are right Pete Lekeman I did post the wrong course with prices. This is the final price I was quoted. I want to focus only on Java 8. Java 9 does not contain any testing information that I could find or books to study. This price is way too high. What is the reason behind this inflation. I think il will wait until black Friday. Maybe I could get lucky. in 2015 there was a voucher promo code for 20% off (java20). But surely if prices are going up like this, is it even worth it to invest in a certification? Where is the boundary? Tudor Vasile wrote: But surely if prices are going up like this, is it even worth it to invest in a certification? Where is the boundary? As to where does it stop? It all depends on where you want it to stop. Oracle has a number of products and many of those products have certification exams. Some people on this site have more then three certifications, which they've achieved on the past few years. I do agree that certification can be expensive. For me the OCA 1Z0-808 exam was $330 Canadian which is about GBP 194.9 right now, and in the end this is about $260 USD. However if you then go for the OCP 1Z0-809 exam you have to spend the same amount again. I suggest that before you attempt to take the certification exam that you try out the free trial from Enthuware. Many people find that Enthuware does a good job of preparing you for the test. Most cert exams are $245. There are a few exceptions like the junior associate ($95). I don't think you should take the junior associate though. Accounting for the exchange rate, £198 sounds reasonable for $245. I'm not sure how often they adjust the prices due to exchange rates, so that's something to keep an eye on. When and where did you friends take the exam? And can you confirm it wasn't the Junior exam? That might shed some light on what they paid. I believe they are the best and have helped me to progress confidently. What I was told was that I could not do the OCP exam directly and that I would need the OCA first. 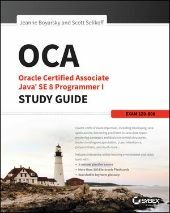 2 years ago My friend did the 7th edition exam and there was a special promotion for 20% off (Java 20 year anniversary) however the OCA exam in 2015 was £89. He then did the OCP in 2016 for £160 with no promotion. To put this into perspective I am also taxed 20% more on top of the £198 price going to a final price of £237. I decided to pay this, would need to have something to show off my hard work and time put into this. The issue is what justifies this vast surge in price if the quality is the same? I do not see any reasons why Oracle should be defended. Tudor Vasile wrote: however the OCA exam in 2015 was £89. He then did the OCP in 2016 for £160 with no promotion. I've been tracking exam prices since 2014. Here's the OCA history and the OCP history. It's been $245 US since 2014. That's in United States dollars that it has stayed constant. As you noted, that is currently 198 pounds. In 2014/2015, the exchange rate was closer to .6 which accounts for the 160 pounds that your friend remembers. I don't see how it would have gotten to 89 pounds though. Anyway, I'm not attacking or defending Oracle. But the price hasn't changed in the US in over 3 years. So I don't think the increase you are seeing is any plot from Oracle.